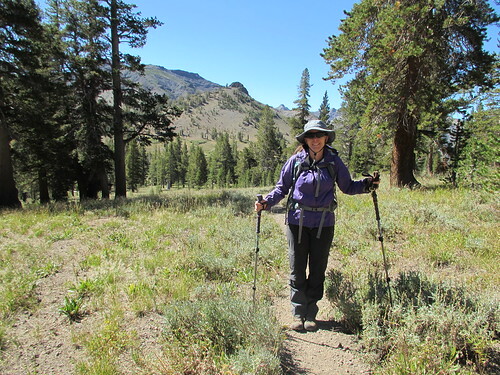 Finding solitude on a weekend like Labor Day can be a challenge. 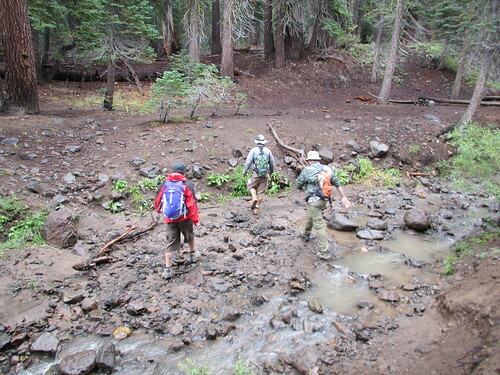 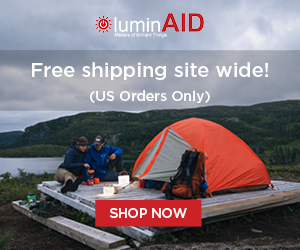 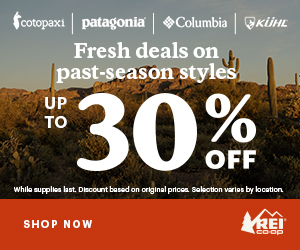 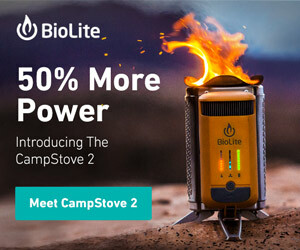 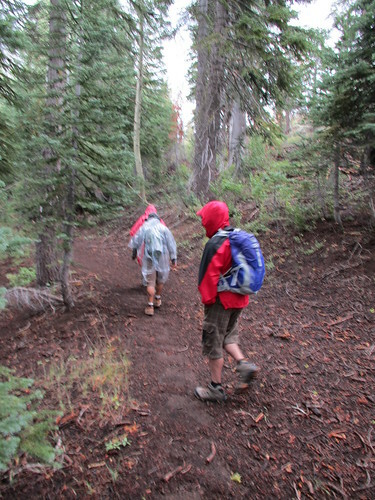 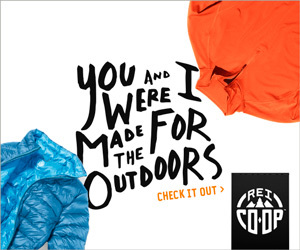 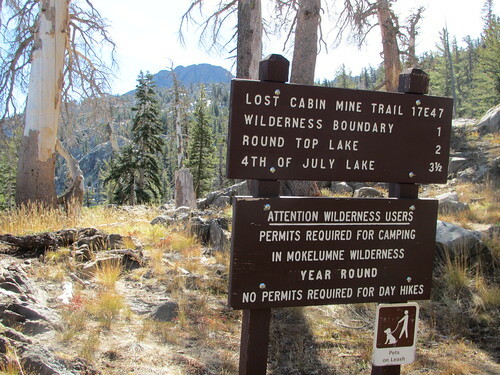 Forget trying to find a site at a campground, or even a parking space at a popular backpacking trailhead. 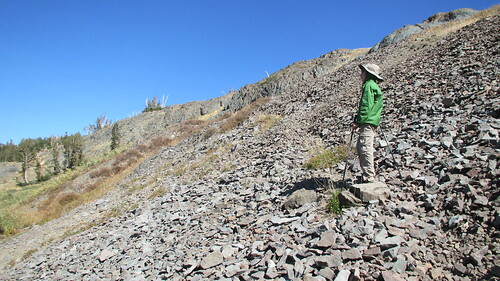 We had pretty good luck in the Sonora Pass area last year though, so I began my research with a couple of my favorite tools, Goolge Earth and Summit Post. 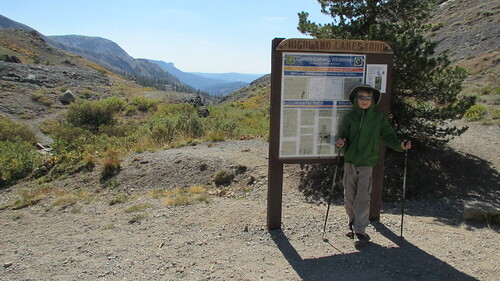 Find something interesting to climb on the map, and then read about how to get there. 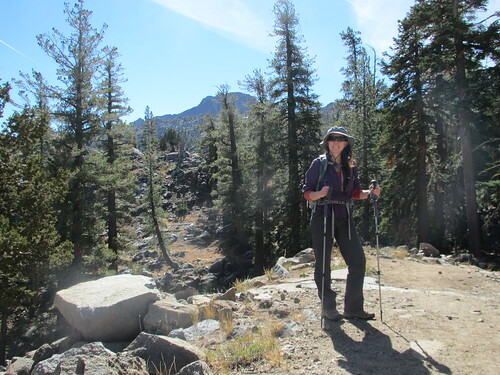 Sonora Peak looked like the perfect destination for a day’s outing without big crowds. 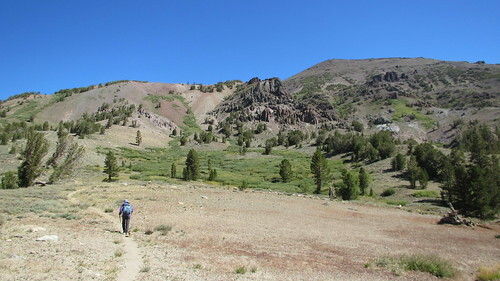 Just about a quarter mile to the east of the Pacific Crest Trail at the top of Sonora Pass is the St. Mary’s Pass trailhead. 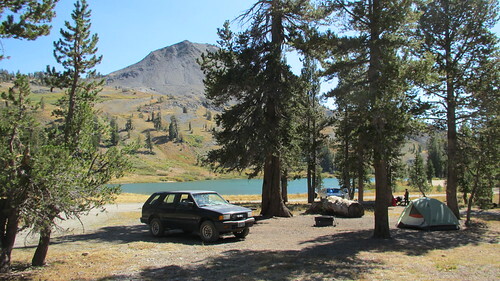 There is plenty of room for parking near the trail kiosk on the north side of the road, but if you have a low clearance vehicle, you may want to park in the pullout on the south side of the road instead. 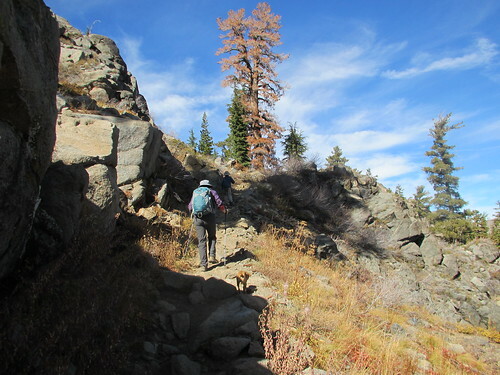 The Saint Mary’s Pass trail leads you north beneath Sonora Peak on the west, and provides the easiest access to the peak. 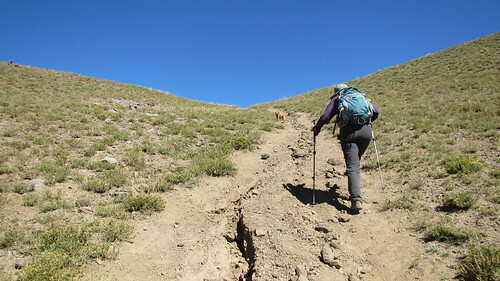 From the top of the pass, there is a lesser traveled trail to the top of the mountain. 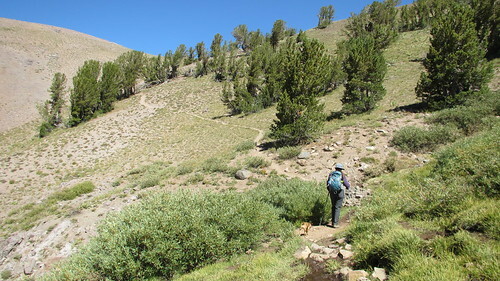 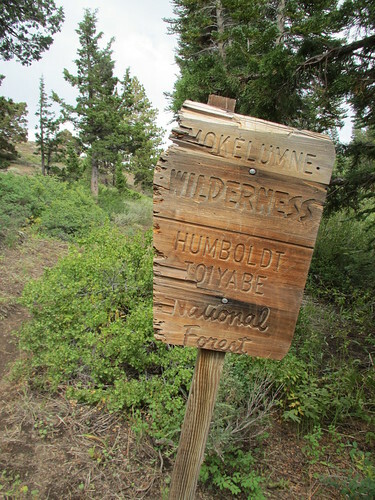 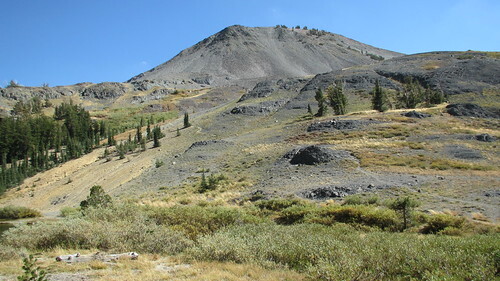 While the distance to the top is 2.5 – 3 miles, the trail climbs steadily from the trailhead, with only a bit of relief at the plateau before the final ascent.